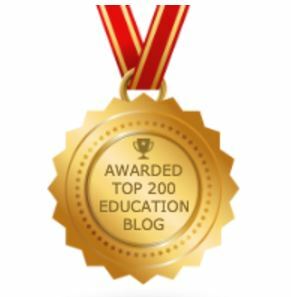 If you’re looking for a place to find an honest conversation about all things education, Steven Singer’s (not the Philly jeweler) blog gadflyonthewallblog is a good place. Mr. Singer speaks truth to power ranging from race and poverty in education to school privatization. One of Mr. Singer’s latest entries speaks of a study, authored by Sarah Cohodes of Columbia University’s Teachers College, suggesting a way to reduce the Black-White achievement gap. She argues that highly-effective charter school practices – from schools that serve low-income students of color – should be replicated in traditional public schools. While Cohodes acknowledges that charters and traditional public schools perform at the same levels, she says that charters of the “no-excuses” variety tend to perform better. I believe that the “no-excuses” philosophy does not empower children of color. Discipline is necessary for every academic setting. However, I do not believe that a militarized approach to disciplining children is what works best to get the best out of them academically or otherwise. I abhor the hypocrisy that such an approach is necessary for Black and Brown children. What is especially insulting is the cultural appropriated phrase “no-excuses;” hijacked to cajole particularly the African-American community to the side of these organizations. The message does seem inspirational. However, the mission of these schools is to improve test scores; a culture of conformity and compliance is the means to achieving that end. The key is to sternly discipline students, maximize instructional time and minimize distractions. These schools align themselves with key figures of African-American culture and buzz words and/or phrases of the Black freedom struggle expressed in African American households i.e. “you have to work twice as hard as everyone else,” to garner support for the “no-excuses” ethos. Many of these schools, like traditional public schools, are founded on the “Protestant ethic;” a set of values that emphasize the importance of hard work and no excuses. However, there is rarely room for restorative justice in this atmosphere, rarely is a curriculum designed from an Afrocentric perspective and often left unsaid is the message of resistance. But I digress. On the topic of the “no-excuses” philosophy, Columbia University professor Christopher Emdin said, “There is a false attachment between being complicit and docile to being academically rigorous.” Emdin said that “no-excuses” schools, in particular, do more damage to children of color although they are framed as a better option. However, Cohodes, a faculty colleague of Emdin, sees “no-excuses” practices as potentially beneficial to public school district academic achievement. One piece of evidence she cites is the work of Harvard researchers with the Houston Independent School District (HISD). Those researchers found that students in schools that adopted “no-excuses” charter practices saw test score gains in mathematics. Those “no-excuses” practices utilized in Houston were identified in New York City as being correlated with the largest test score gains. Those practices were (1) intensive teacher management, (2) data-driven instruction, (3) increased instructional time, (4) intensive tutoring, and (5) a culture of high expectations. Not mentioned was how “no-excuses” practices result in a lot of student discipline, based “broken-windows” logic or in other words, sweating the small stuff. Detentions and suspensions abound. I’ve spent my entire career in education in the state of New Jersey. I’ve taught in schools that practice “no-excuses.” New Jersey offers fresh research ground with untapped data to be analyzed. According to the New Jersey Department of Education (NJDOE), New Jersey has ninety-one charter schools/organizations with a combined student population of 48,846. This includes renaissance charters. Most of these schools serve low-income children of color. Of the ninety-one schools, sixty-two schools or 68% are listed within the top twenty-five municipalities of persons living below the poverty level. In New Jersey, 39% of the traditional public school population is Black and Latino; 86% of the charter school population is Black and Latino students – 53% of all charter school attendees are Black. Not all charter schools in New Jersey follow the “no-excuses” mantra. However, Urban Hope Act legislationfacilitates the expansion of “successful” charter networks, such as Cohodes prescribes. Many of those schools practice “no-excuses.” The Urban Hope Act districts include Camden, Newark, and Trenton. Each is in the top fifteen municipalities of persons living below the poverty level. These districts also have a student population of predominately Black and Latinos children. State performance data makes possible a comparison of traditional public and charter school student proficiency. The NJDOE assesses a school and/or districts success according to the percentage of students who are proficient in language arts literacy and mathematics. After comparing traditional public schools and charter schools in Urban Hope Act districts, it’s found that charter schools have a higher percentage of its students achieving skills proficiency expectations. Looking at this data alone, one could surmise that Cohodes may be on to something. “No-excuses” charter networks such as KIPP, Uncommon, Democracy Prep, and Mastery run schools in at least one of these municipalities. Where I believe Cohodes study goes wrong is disregarding the impact of “no-excuses” disciplinary measures for the sake of highlighting and applauding higher achievement levels. “No-excuses” disciplinary practices result in more student discipline. Unfortunately, there is no such data submitted on student detentions from New Jersey schools. Concerning student expulsion data the majority of schools who submitted data had few expulsions or none at all. The best available indicator of school discipline for New Jersey school data is the student suspension rate. The charters in these three districts outperform traditional public schools academically. At the same time, they discipline a higher percentage of students than those traditional public schools. Looking at the numbers, one could conclude there is a relationship between high student proficiency levels and high suspension rates; that the more you suspend, the higher school-wide student proficiency will be. These stats on the surface affirms Cohodes initial suggestion. However, surmising a relationship based on these comparisons isn’t definitive. More analysis is needed to see if a real relationship exist. Using the NJ School Performance Data provided by the NJDOE for SY 2016-2017, I ran a regression analysis to find if a relationship exists between charter school suspension rates (SSR) and charter school-wide proficiency in language arts literacy (SCHLAL) and mathematics (SCHMAT). Specifically, I am looking to answer the following question: does a charter school’s suspension rate positively influence its school-wide student proficiency in language arts literacy and mathematics? In both regression tests, I controlled for the following indicators: (1) % population of economic disadvantaged students, (2) % population of Black students, (3) % population of Latino students, (4) % of students who are English language learners, (5) % of students with an academic disability, (6) % of students chronically absent from school, (7) % White teachers in a school, (8) % Black teachers in a school, (9) % Latino teachers in a school, (10) % daily teacher attendance, and (11) average yearly teaching experience of teachers. All 91 schools did not report data percentages for every variable. However, 80 of the 91 charter schools (88%) did report data for the language arts literacy variable and all other controls when analyzing school-wide language arts literacy proficiency. 75 of the 91 charter schools (82%) did the same for mathematics and the other control variables. According to the regression analysis, there is a relationship between charter school suspension rates and charter school student language arts literacy proficiency. The relationship is one of significance at the .05 level. However, the relationship is not positive, but negative. The lower the rate of charter school suspensions, the higher the proficiency level of charter school students in language arts literacy; regardless of all control variables mentioned previously. The same is true for the percentage of students of economic disadvantage. The lower the percentage of economically disadvantaged students in a charter school the higher the percentage of charter students scoring proficient on the in language arts literacy. There is a strong correlation between the variables, although it is not a significant one. A deeper dive into the data is necessary to explain the relationships shown here and to test for causation. This relationship concerns Black students in particular because according to a 2016 study, school suspensions account for 20% of the Black-White achievement gap. The same study asserted that high suspensions rates can undermine student achievement as a whole, even for students who do not get suspended. The regression analysis in figure 4 shows no relationship of any kind (positive or negative) between charter school suspension rate and charter school mathematics proficiency. Where there is a relationship of significance, however, is with school-wide math proficiency and students with disabilities; at the .01 level. The fewer students with disabilities were in a charter school, charter school student proficiency was the higher in mathematics. While the correlation between these two variables isn’t statistically the strongest, a correlation does exist. Advocates for and against charter schools argue whether or not charters push away or serve students with disabilities and the impact of such a decision on their school-wide achievement. What is not up for debate is that charter schools suspend more Black and disabled students more than their students who are not Black and disabled. Charter schools suspend Black and disabled students more than traditional public schools. As with the previous regression, this analysis requires more research to understand what the regression is saying concerning the shown relationship. As said earlier, I do not agree with the “no-excuses” philosophy or the practices that come from it. I do believe that this philosophy and the practices that stem from it harms children of color, particularly Black students – there is evidence to back my concern. There is commentary that speaks up for the cultural relevance of the “no-excuses” philosophy. I counter that commentary with the assertion that the idea of “no-excuses” has a high level of nuanced difference when espoused by parents of color versus charter organizational leadership who tend to be White. For all the lauding of “no-excuses,” organizations are having second thoughts on the philosophy; one charter organization that championed the philosophy actually changed course. I do not sense an agenda driving Cohodes’ study, however, based on my brief analysis, I am uncomfortable prescribing “no-excuses” in traditional public schools. I do not believe that replicating harmful discipline practices in public schools will help improve the academic performance of Black and Latino children attending public schools. To my knowledge, White parents have not historically sent their children to “no-excuses” schools and I wouldn’t expect them to start, even with the knowledge of Cohodes research. In fact, I would expect White parents to protest against “no-excuses” entering their children’s schools. If advocates call for these practices to only be adopted in heavily populated Black and Latino public schools, it would only confirm the racism of “no-excuses” proponents. With all of that said, I do not believe the road to the promised land of academic achievement is paved on the concrete of no-excuses – especially for Black students. Let’s continue to press towards the mark! Silver, Joel. Deculturalization and the Struggle for Equality. 7th. New York: McGraw Hill, 2013. Renaissance schools are charter schools/organizations that take over failing schools from a school district as per the Urban Hope Act legislation. The Urban Hope Act, signed into law in 2012 and amended in 2014, allows for charter schools, referred to as renaissance schools, to “takeover” administration of academically underperforming schools in the cities of Camden, Newark and Trenton. Great piece – important ideas with data to back them up. So powerful – thank you for your work. Beautiful and impressive article. Thanks for sharing the info. keep visiting BEST IITJEE PREPARATION BOOKS to access global education specially for science and engineering students for Higher level educational ebooks. I am going to assume that your math is correct and that you used reliable data. Based on this article and with this in mind, I have a few observations and a conclusion. 1. Charter schools are more academically successful than traditional public schools. 2. However, charter schools also have higher suspension rates than traditional public schools. 3. Disruptive, disrespectful and sometimes violent students make it difficult for the teachers to teach to those students who want to learn and also make it difficult for those students who want to learn. 4. Students who are suspended will fall behind those students who are not suspended. Suspended students should attend traditional public schools. This would ensure that these disruptive students would be missing less classroom time and would, thus, be less likely to fall behind. This would also ensure that the students who attend the charter schools would not have their education interrupted by students who are not willing to abide by the school’s rules.